With increased concerns regarding internet security, adding additional preventative measures to publicly accessible computers like the one in this Home Server Series is an almost automatic inclusion. 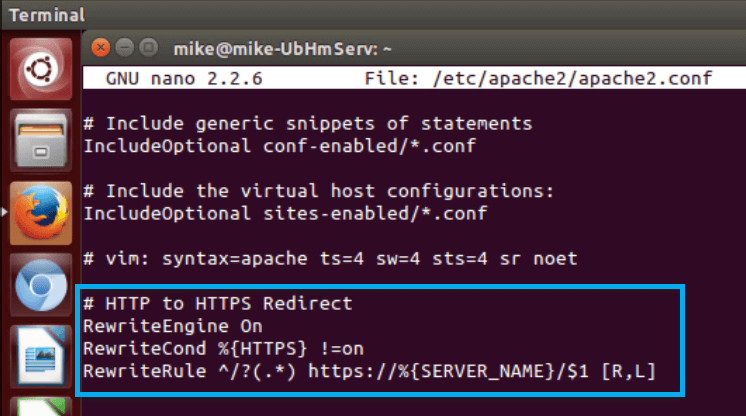 Find out how to create a self-signed SSL certificate and force all traffic to be redirected to secure HTTPS from unsecured HTTP. A self-signed certificate uses the same encryption as a certificate generated by a signing authority like StartSSL. The main difference is that certificates from signing authorities are verified by that third party and will not throw a warning when used. Since self-signed certificates do not have third party verification, each time the secured site is visited, a warning will appear in the browser. NOTE: If you are using a desktop version, simply run the software updater. NOTE: The SSL certificate will be valid for two years (hence the 730 days). After which a new certificate will need to be made. 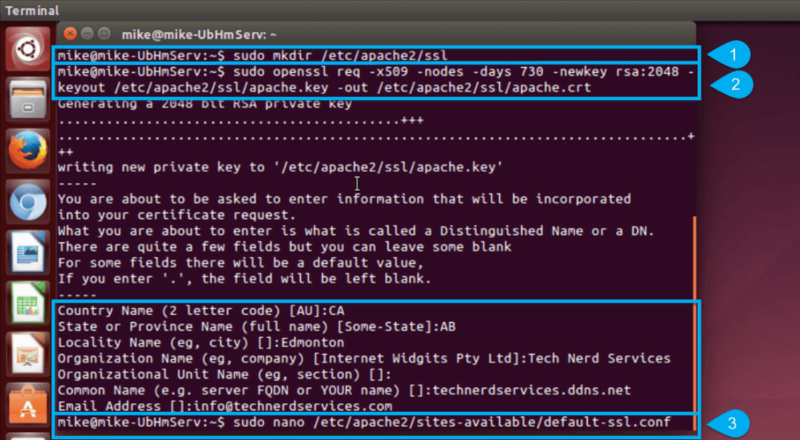 Scroll down with the arrow keyboard keys until the lines containing SSLCertificateFile and SSLCertificateKeyFile. 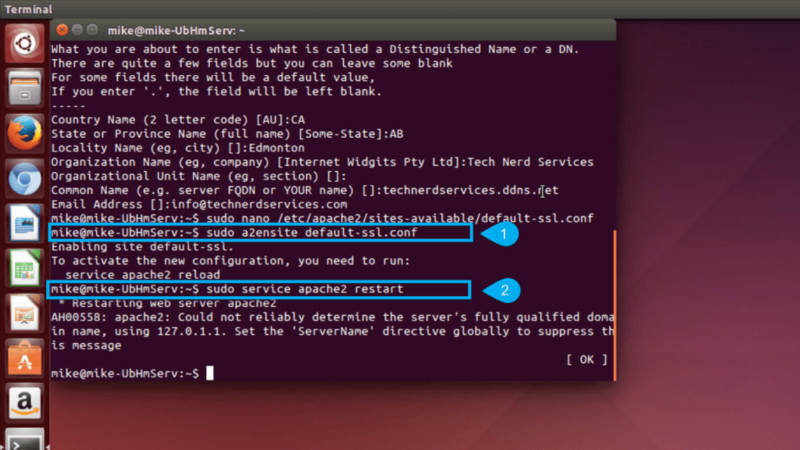 Modify the file locations with the new SSL certificate locations. 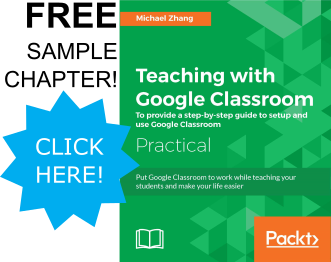 Save the configuration file using the keyboard command “Ctr”+”O” and exit the editor with “Ctr”+”X”. 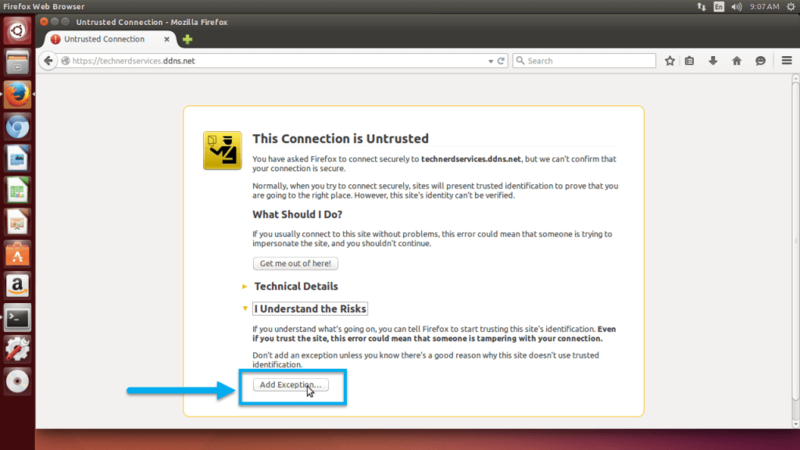 Open FireFox and navigate to your website using the https protocol. Click on the “Add Exception” button at the bottom of the “This Connection is Untrusted” page. Click on the “Confirm Security Exception” button. 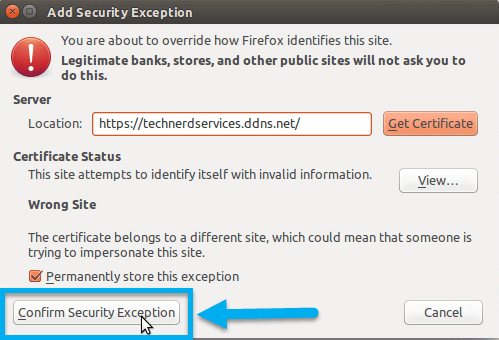 If Firefox redirects to the correct page, the SSL certificate installation is successful. 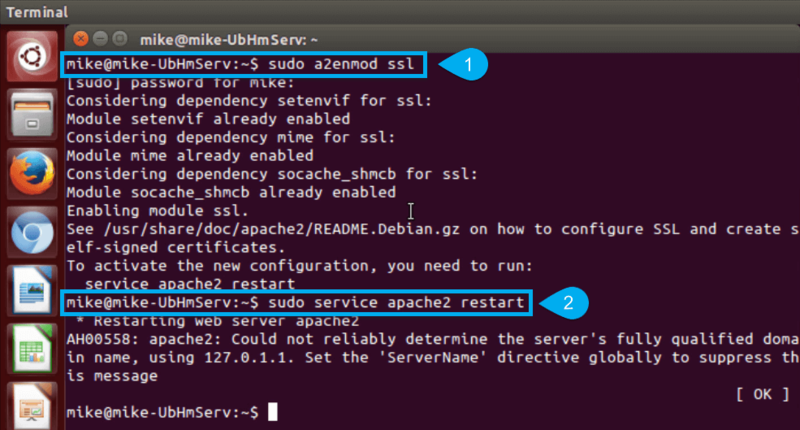 The final step is to forward the appropriate port on your router for SSL, port 443. 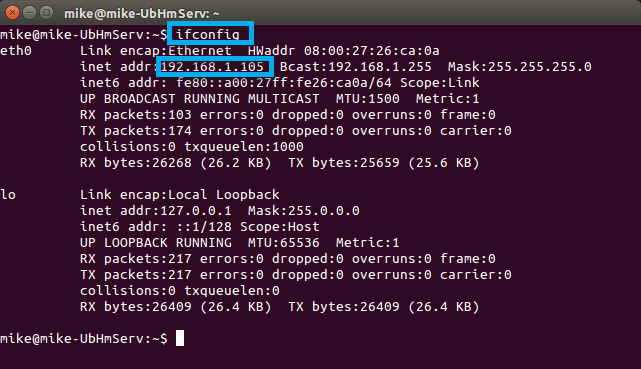 In Terminal, use the command “ifconfig” to find the IP address of the computer and create a port forward rule for port 443 to the appropriate IP address on your router. While there will never be a perfect solution for internet security, simple precautions such as adding SSL encryption can reduce the likelihood of online attacks. Other considerations for managing online risk includes separating the online computer from the rest of the network. Routers often have DMZ features which will perform this function. Join us next time as we conclude the Home Server Series.